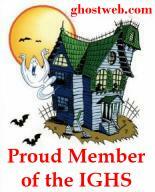 We are a team of investigator's that enjoy investigating paranormal activity. We come into your home or business do a interview and investigate the unknown. All investigations and information given to PSOCF is held in strict confidence and will not be sold or given to anyone without prior written authorization from the clients we serve. We are all interested in the field of the paranormal and have been for years. Let us help you! TAPS: Paranormal Research & Investigation, Ghost Hunting. A Directory to the World's Most Haunted Locations! If you feel your home or business is haunted, let us get the proof for you! Our purpose of this business is to provide answers to you or your loved one's.If we cant provide you with a answer as to whats going on, then we will research it or put you in touch with someone who can.